The Drop Line is iconic to the Nine Line brand. 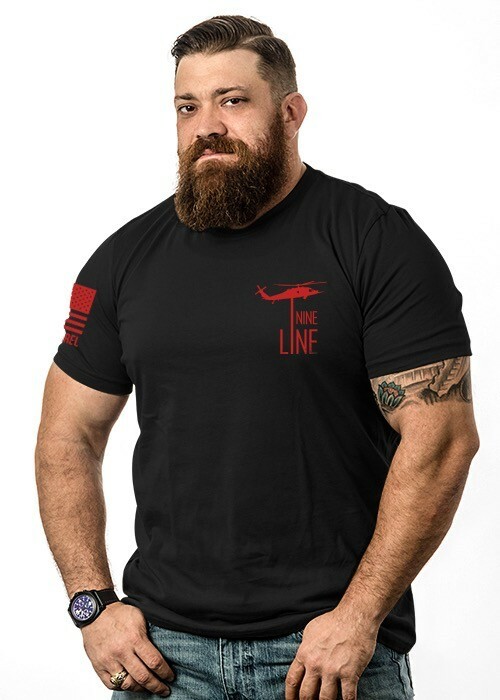 When Tyler Merritt, one of our founders, was a Black Hawk pilot in the army, and one of his primary objectives was to utilize the Nine Line medevac to remove injured soldiers from the battlefield. The Drop Line symbolizes this evac situation, with the helicopter at the top, and the rope coming down into the Nine Line name. It represents our company’s veteran roots, and our giveback mentality as a company, always striving to be our brothers’ keeper.